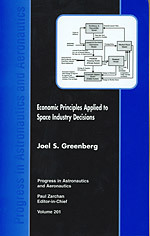 This book is about the application of economic principles and concepts in decision-making related to space activities. It is not an economics book. It takes a tutorial approach, elaborating on concepts and methodology and their applications.